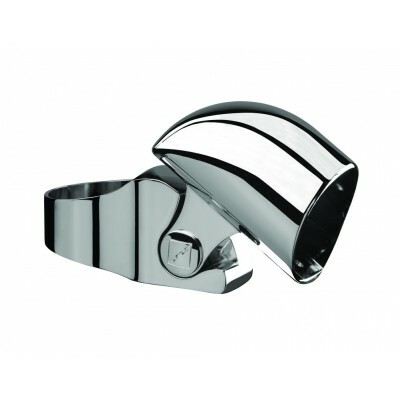 Chrome plated top newel connector from the Fusion range by Richard Burbidge. Enables you to attach a Fusion handrail to a Fusion newel post at the top of your staircase. Connector comes apart for easy installation. For use on stair pitches between 38 degrees and 45 degrees.